We are honored to work with BMAGIC and partners for the 2018 Back To School Celebration! This will be the 3rd year at the NOW Hunters Point site. 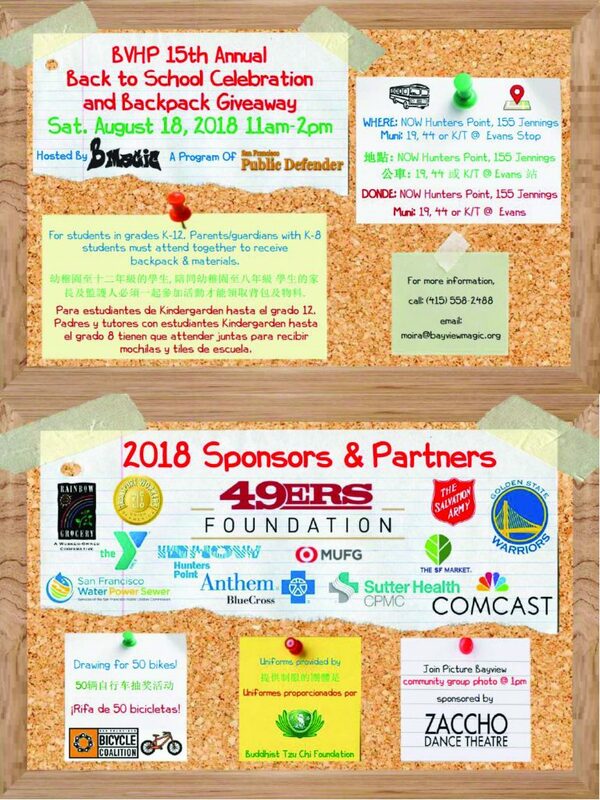 This annual celebration honors the students of Bayview Hunters Point; with more than 60 community-based organizations coming together to create a day of games, dancing, yoga, healthy food, and live entertainment. This event is for students in grades K-12. Parents/guardians with K-8 students must attend together to receive backpack & materials. 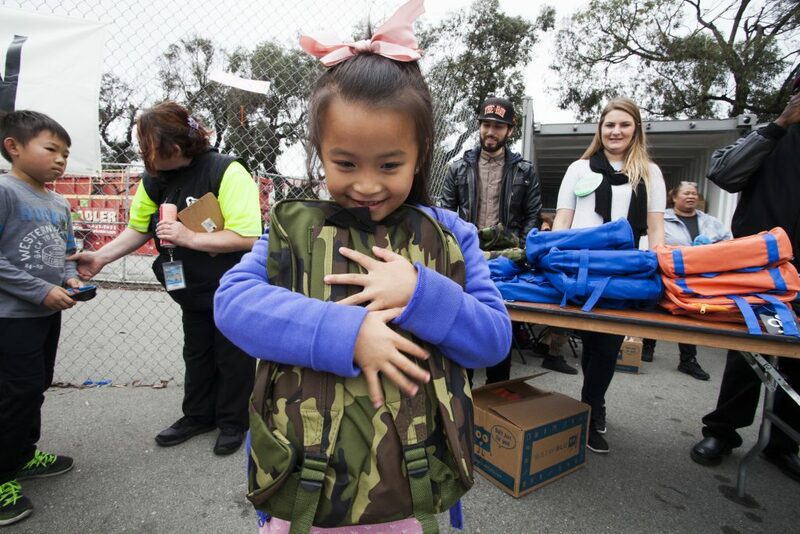 Free uniforms, backpacks & school supplies! There will also be a drawing for 50 bikes! Join Picture Bayview for a community group photo @ 1pm! In previous years, BMAGIC gave out 2,000 free backpacks stuffed with grade-appropriate school supplies along with school uniforms. This event creates an exciting start to the coming school year and provides youth with the necessary tools to be prepared for academic success.